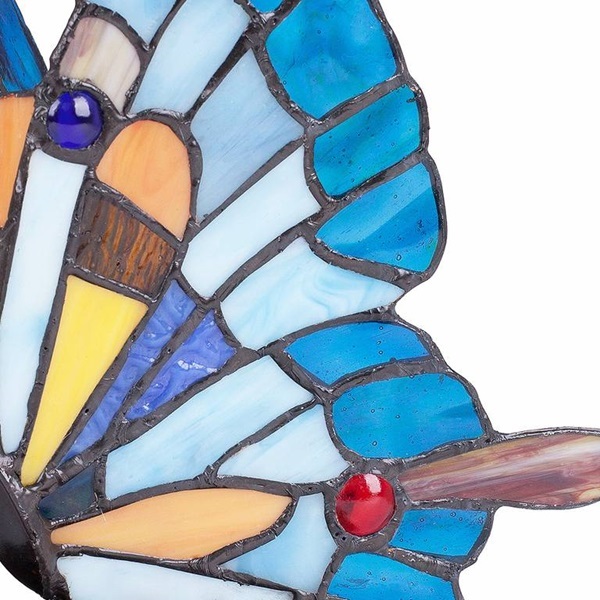 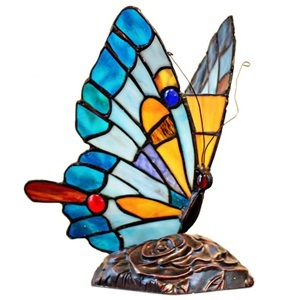 Let this little beauty "fly" into your home! 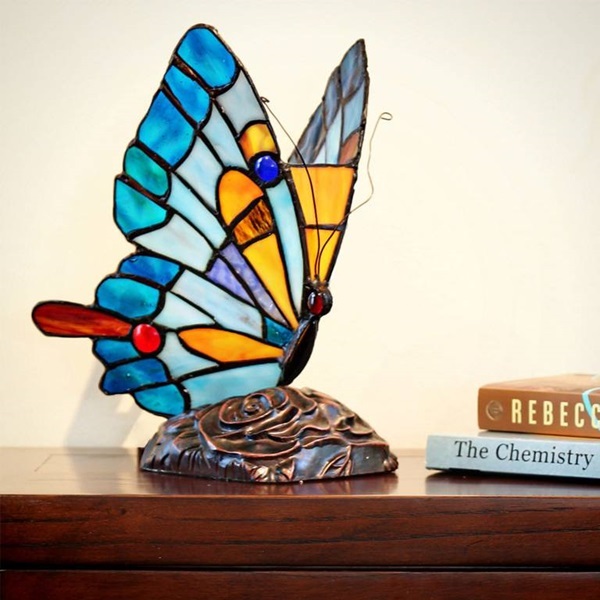 At 9"H, this accent lamp is the perfect addition to any home décor. 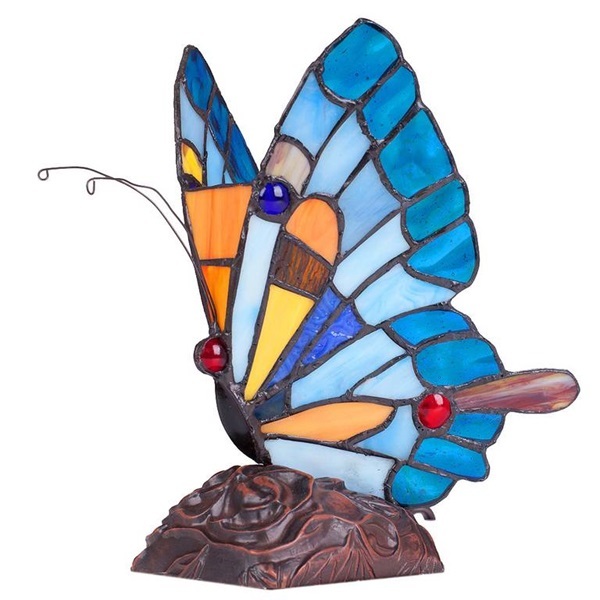 Composed of 68 glass pieces including 7 cabochons in vibrant colors of blue, white, yellow, and orange, this lamp will light up any room.